In 1953, Aston Martin launched a new grand tourer called the DB2/4. Initially from their Feltham operation, before moving to Newport Pagnell in 1955, the David Brown inspired Aston Martin produced 761 DB2/4 sports cars. They finally ceased production in 1957 when it was succeeded by the Aston Martin DB Mark III (otherwise known as the DB2/4 Mark III). The DB2/4 was based on the DB2, which it replaced. 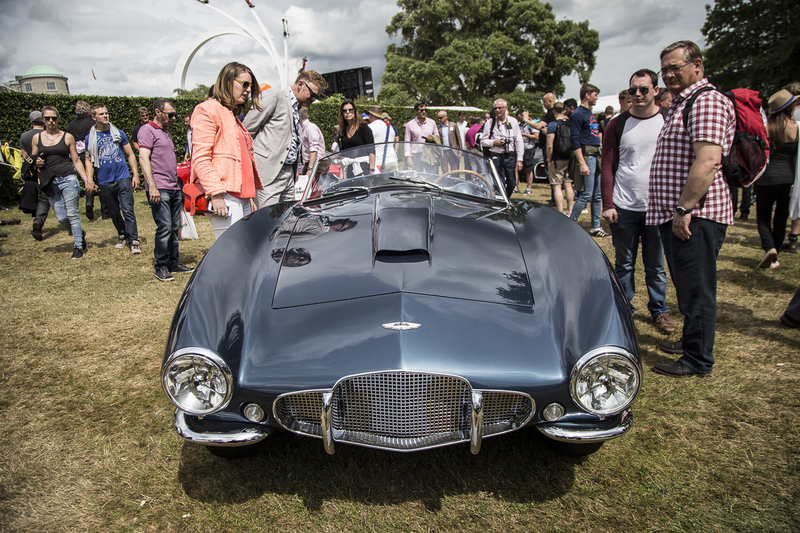 The DB2 had been based on the prototype designed and built to compete in the tragic 1949 Le Mans 24-hours endurance race. The new model featured a more modern wraparound windscreen rather than the split screen of the DB2. The bumpers were also larger and the front end was re-designed with the re-positioned headlights. In the first 1953 models, the W. O. Bentley designed engine (designated VB6E) was 2.6-L producing 125hp. Between September 1953 and April 1954, this was replaced by a 2.9-L VB6J version that raised the power to 140hp. Private buyers also commissioned the building of a small number two-seater spyder sports cars designed by Bertone in Turin. Industrialist and car dealer S. H. Arnolt commissioned six DB2/4 Arnolt Bertone Spyder sports cars for export to the US in 1953. In 1955, Aston Martin introduced the DB2/4 Mk II, featuring an optional higher powered engine with the power increasing to 165hp. There were also a number of cosmetic changes to the bodywork and lights. 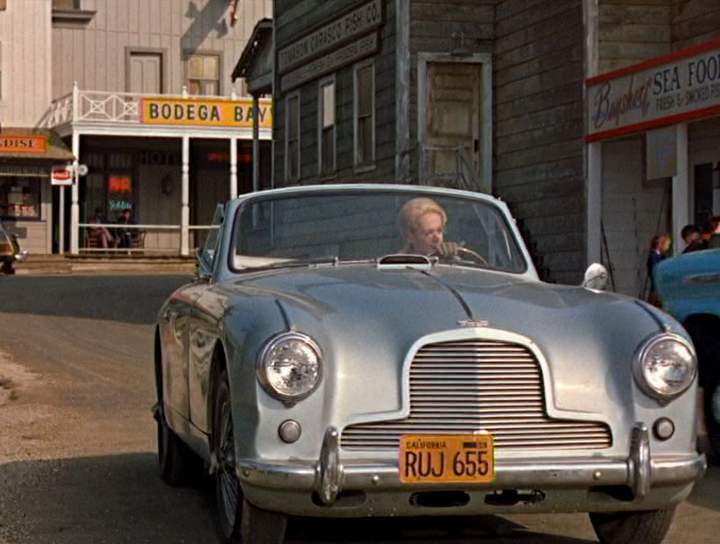 A 1954 Drophead Coupe version of the Mk I DB2/4 featured in the 1963 Alfred Hitchcock movie, The Birds. The car was driven by Melanie Daniels (played by Tippi Hedren) in the quiet Californian seaside location depicted in the film. 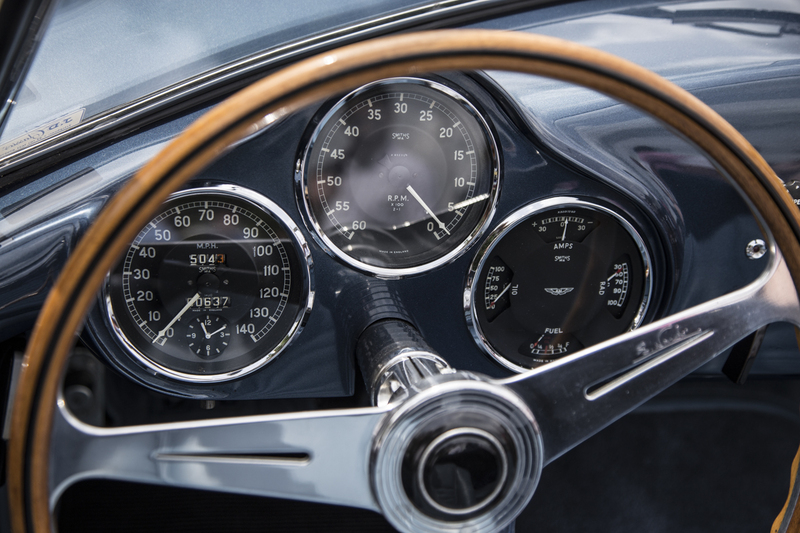 As with earlier Aston Martin cars, SMITHS Instruments were commissioned to design and manufacture the Speedometer, Tachometer and four-in-one gauge. The three gauges were equal in size and mounted directly behind the steering wheel. The four-in-one gauge measured the Amps, Temperature of the radiator water and oil, and Fuel. Of the three gauges, the four-in-one was the only one to feature the Aston Martin wings motif. Also, the Speedometer had a small clock mounted into the bottom half of the gauge. 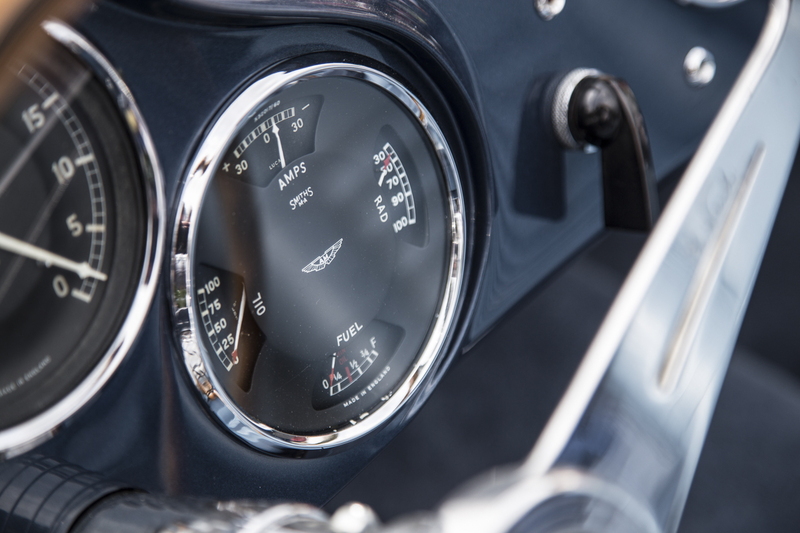 The bespoke gauges were designed to reflect the styling of the interior with black faces and chrome-edged bezels.